Fun camp is an important aspect of adolescent intervention programme. The camp works on ‘ self to society ‘- model. This model helps to realize the importance of youth and active citizenship. The basic aim is to understand how an individual can contribute to the society. This model also helps to understand the rural-urban relation and how each impacts the other in various forms. It also helps the students of that particular age to understand the other important perspective of life. This year in the month of September, FUN camp was organized at URMUL, Phalodi, which falls under the district of Jaisalmer. Students of Sanskriti School were part of this camp (class XI). There were 56 students, seven facilitators from Pravah and five teachers from Sanskriti School. 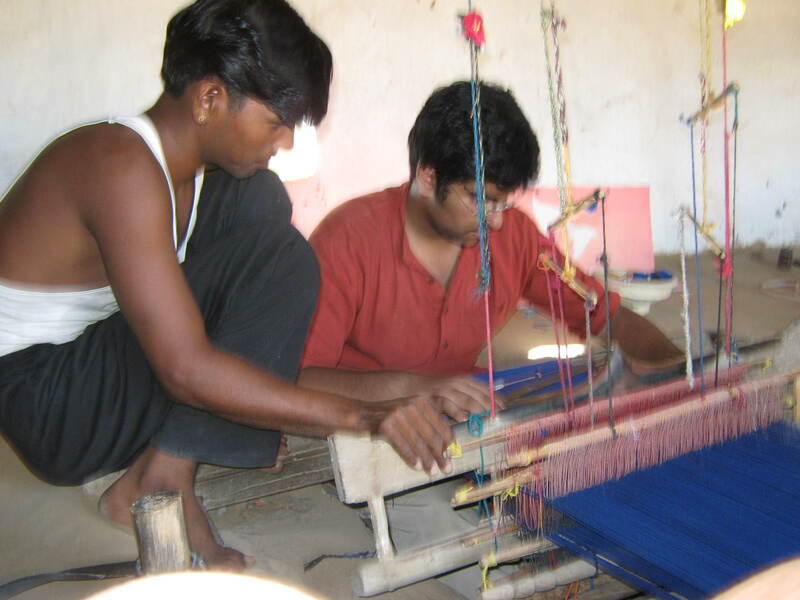 Urmul Marusthali Bunkar Vikas Samiti (UMBVS) was established in 1991 as a registered society of weavers created for streamlining production and marketing of textile products marketed by its members. The UMBVS currently works with more than 170 weavers from 10 villages and continues to be in a highly respected organization in Rajasthan. Initially it was easy for one to sense the incoherency present in the group. It was observed that there were a lot of smaller groups within the big group. Also, this disconnect was clearly visible when the big group was divided into three main groups. But slowly and steadily during the camp it was observed how the group cohesiveness was increasing. The session that played an important role in building up group cohesiveness the most was “who am i”. Initially it was noticed that the students, in all the three groups, were not comfortable opening up but finally some students took the initiative. Although there were some students who didn’t open up at all, but even they found the session interesting and easing. 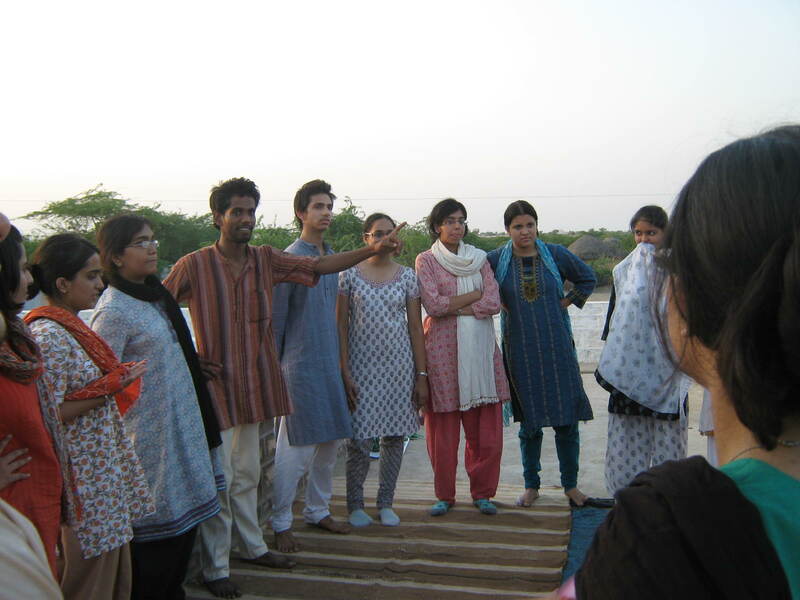 The interaction between the students and the villagers helped the students to get another perspective of life. 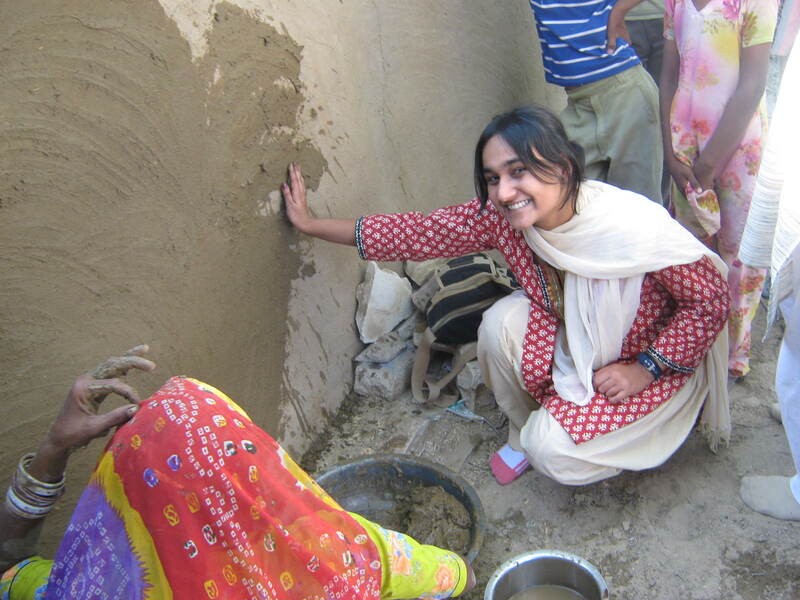 Staying with the villagers, doing the work they do, eating with them, knowing about their culture and beliefs, all these helped the students to learn about the village life. The realization that there is no actual divide between the rural and urban community and each impacts the other, made them understood the need for rural and urban unity. Also there was urgency from the students to do something productive for the villagers on education, and health issues mostly. This actually helped the facilitators to develop the action project for each group. After this PRAVAH journey, I think I am going to value each and every thing which is a part of my beautiful life because life is very beautiful life because life is very beautiful……………… The fun camp should be at least for two weeks.